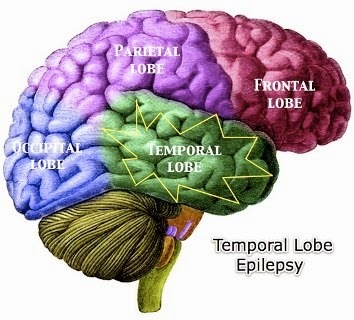 Epilepsy is a disruption of brain function that results in seizures or fits. It can affect anyone of any age, level of intelligence and ethnic group. Under certain circumstances anyone can have a single seizure; with epilepsy, however, seizures can recur. Most types of epilepsy respond well to regular medication and many people become seizure-free. With medication and a sensible lifestyle, a full and active life is possible. Generalised tonic-clonic seizures are seizures that involve the whole brain. There is a loss of consciousness, the body stiffens and the limbs jerk. These seizures generally last one to three minutes after which the person may wish to rest or sleep. The person may also be unresponsive, confused or use inappropriate behaviour. Most people with epilepsy will have their seizures controlled with one medication. It is essential that you take your medication as prescribed. Modern antiepileptic medications have few side effects; however, if you're experiencing any side effects, make sure you speak to your doctor. Drowsiness is the most common side effect but is generally only a problem at the beginning of treatment. Some medications may produce behaviour problems or affect learning in children. Will Epilepsy Affect Your Lifestyle? Although these situations may be difficult to avoid at times, a sensible approach will reduce your risk of seizures. You might find it difficult to cope with restrictions on your lifestyle, suspension of your driving licence or a possible need for career review, combined with the discrimination or stigma still wrongly associated with epilepsy within the community. Acceptance is the key. Once you accept that your epilepsy is part of you, you'll be able to move forward and take control of your life, rather than allowing the epilepsy to control you. It's important for you to discuss a planned pregnancy with your doctor before conception. All antiepileptic medications carry a small risk to the unborn child. On the other hand, there is undoubted risk to the unborn if tonic-clonic seizures aren't controlled, for they can cause injury to the mother or baby. Planning will allow your doctor to alter your medication, if necessary, and monitor the effectiveness of the new drug prior to pregnancy. If seizures are likely to occur, it's important to tell teachers, friends and employers of your epilepsy for their safety as well as your own. Being informed and knowing the appropriate first aid procedures means they can help you. Look at the box on the previous page for the correct procedure for complex partial seizures and to check when an ambulance should be called. Absence seizures don't usually require any form of assistance other than reassurance when the attack is finished.